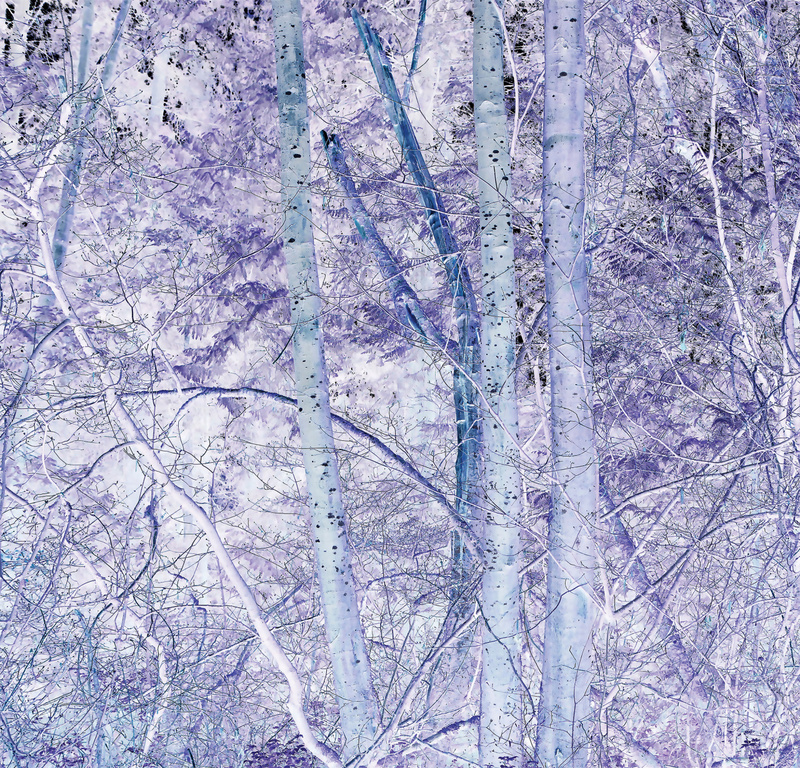 Hua Jin, Forest (inverse detail), 2017. Inkjet print, 30 x 30". Hua Jin, The Trees Want to Remain Quiet, but the Wind Won't Stop, 2017. 8 Channel video installation. The Trees Want to Remain Quiet, but the Wind Won’t Stop brings together two bodies of work by Montreal-based artist Hua Jin. Exploring the relationship between landscape photography and solitude, the works portray different wooded areas as a means of reflecting on both the timeless nature of landscape photography and the constant cyclical nature of a forest. 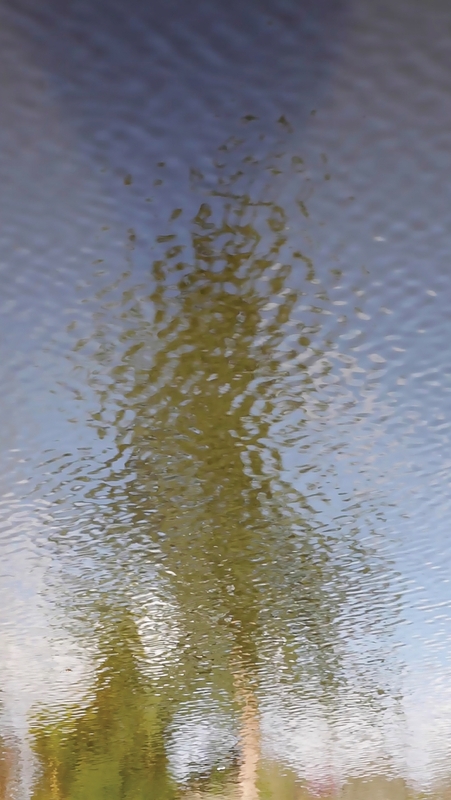 The eponymous work, The Trees Want to Remain Quiet, but the Wind Won’t Stop, consists of eight monitors, each depicting a single tree reflected in water, continuously abstracted by the wind. According to Jin, the word “landscape” in Chinese is expressed as two characters, 风景, the first meaning wind and the second meaning both scene and light, which suggests not only a location but also how it is perceived. 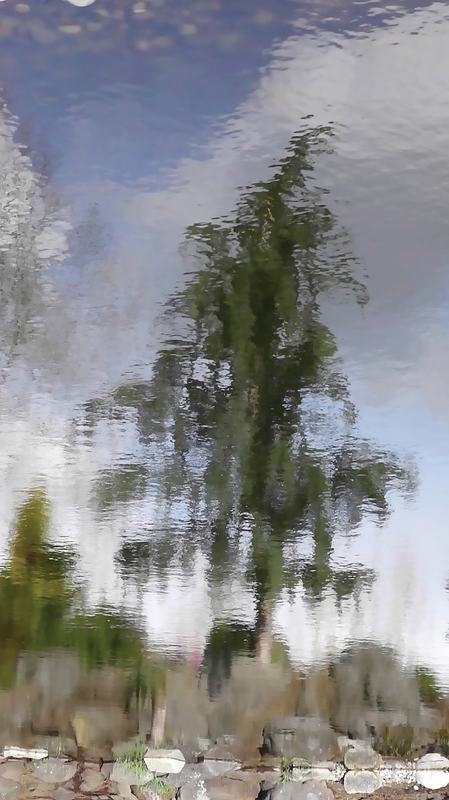 The second body of work, Forest, similarly plays with perception, depicting an old growth forest in Langley, BC as a large panorama stretching over 25 feet. The meticulous detail captured in the image shows various stages of decomposition alongside growth and renewal with new buds and small shoots emerging from the verdant undergrowth. Jin’s elongation of time and space in both these works offers an eloquent way to see these landscapes anew.